Little Blue Ocean Canouan The Grenadines. 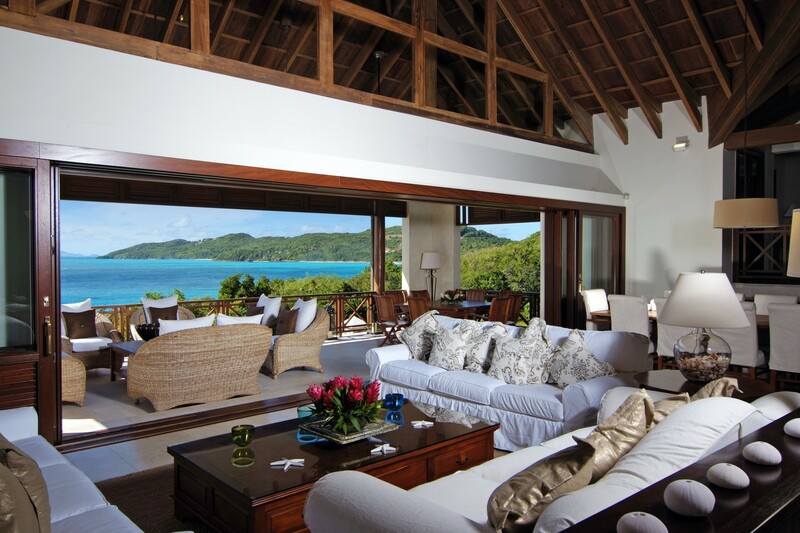 Does the idea of a premium and private villa set in a remarkably scenic spot in The Grenadines appeal to you? If so, you definitely want to consider the stunning Villa Little Blue Ocean for your next Caribbean holiday. This four-bedroom property includes an enormous list of world-class amenities, including an expansive verandah with private pool, al fresco dining and outdoor lounging, private grounds, non-stop scenery from almost every room, and truly stunning décor. 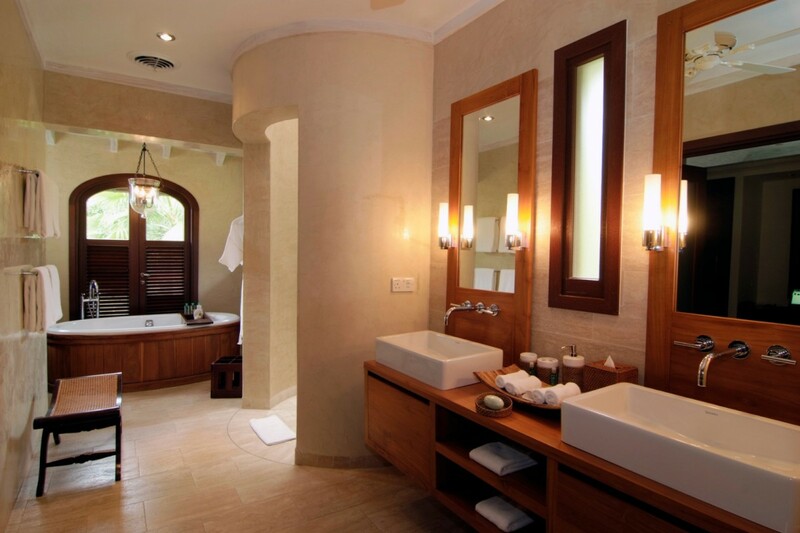 The building is designed in traditional island style and uses native stone, dark wood, creamy walls and cool stone floors to create a perfect setting for a holiday. The open floor plan of the great room ensures every sea breeze, sunset or brilliant day can be enjoyed indoors and out. 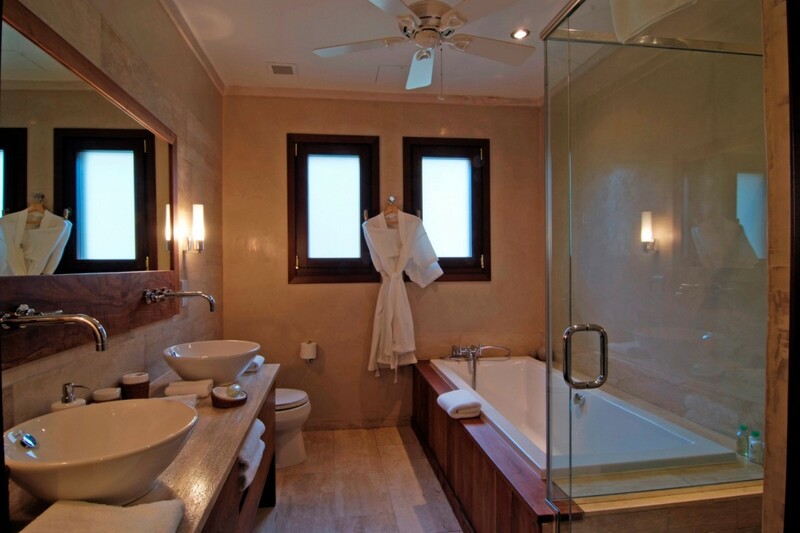 There is a lounge, dining room and full kitchen, and the bedrooms are divided between the main villa and a guest house. 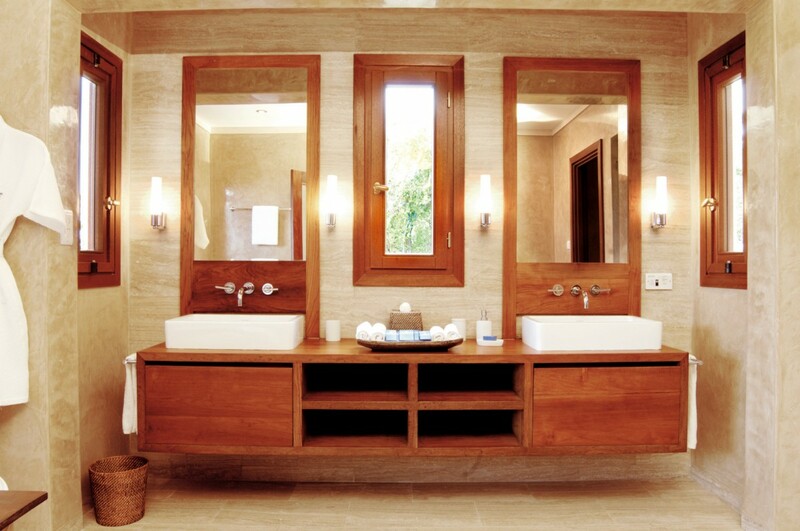 There are two master suites, and all bedrooms have ensuite baths and private terraces. One suite has an office, as well. 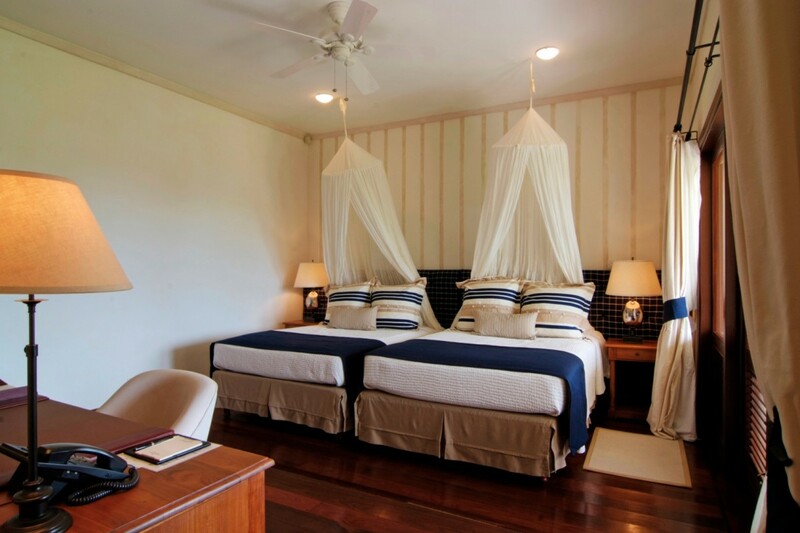 In addition to the stunning privacy and luxury of the villa itself, your stay also includes full access to the impressive list of services and facilities at The Pink Sand Club Hotel and the Canouan Estate. This means you can head to the hotel, with its amazing grounds and premier dining facilities and enjoy their leisure options, too. There is a swimming pool, tanning deck, and a full spa with exclusive ESPA options. Treatments are done in private palapas overlooking the gardens or the sea. 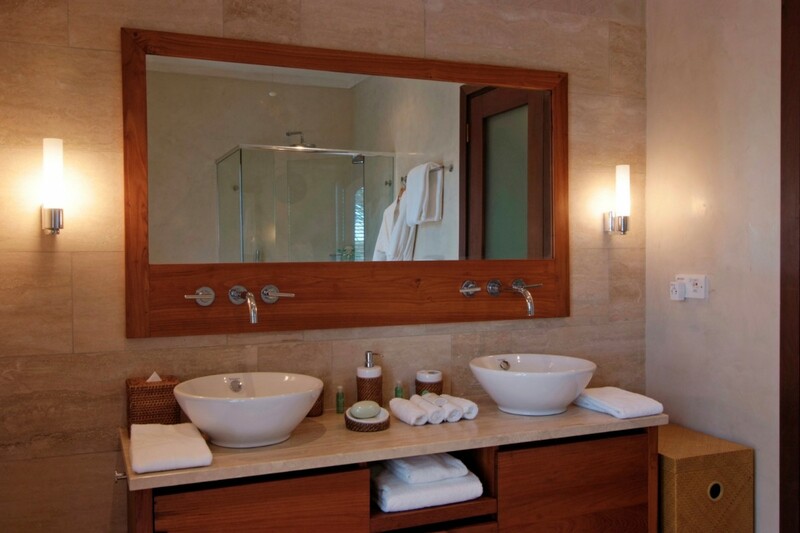 You can also enjoy use of all of their water sports, tennis facilities, their fitness center, and kids club. You have access to their Jim Fazio designed golf course and guided hikes are even part of your options. You can also enjoy any of their dining facilities. Villa Little Blue Ocean is a perfect choice for a family gathering, getaway with friends or small, intimate event and is sure to please everyone in your group. 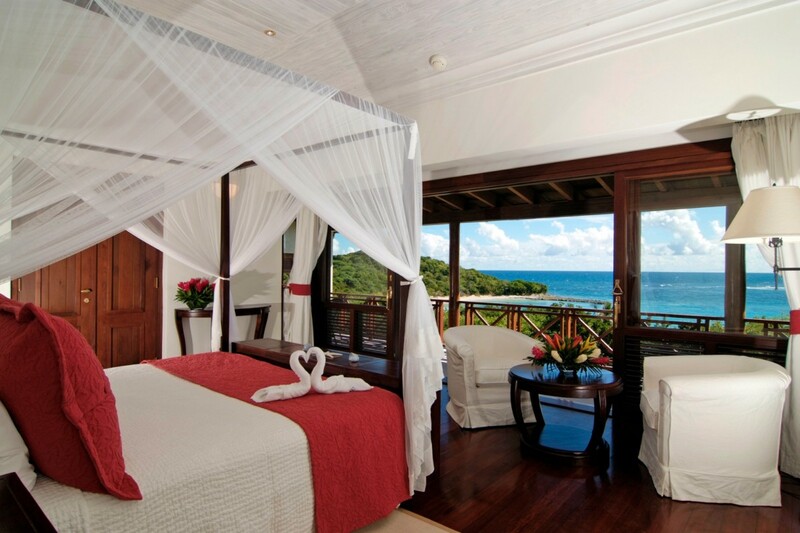 Villa Little Blue Ocean has a full access to The Pink Sand Club Hotel and the Canouan Estate. Bedroom 2: Master bedroom with a king-size bed, air conditioning, fan, safe, telephone, private terrace, TV, wireless access, mosquito net and en-suite bathroom with bathtub, shower, double vanity and WC. 2 guests maximum. Bedroom 3: Bedroom with 2 double beds, air conditioning, fan, safe, telephone, private terrace, TV, wireless access, mosquito net and en-suite bathroom with shower, double vanity and WC. 2 guests maximum. Bedroom 4: Bedroom with a king-size bed, air conditioning, fan, safe, telephone, mini bar, private terrace, TV, wireless access, mosquito net, mini bar and en-suite bathroom with shower, double vanity and WC. 2 guests maximum.